Last week I showed you how to use Google Scholar to conduct free online legal research, including how to search Google’s entire case law data base and cite check the cases, too. The good news is that Google Scholar isn’t the only free online resource for lawyers–there are plenty of others, too. Today, I’m going to discuss a few of the most useful and user-friendly online and mobile resources that make it easier than ever to conduct legal research for free. First, if you don’t have a copy of the latest edition of “The Cybersleuth’s Guide to the Internet,” written by Carole Levitt, a lawyer and law librarian, and Mark E. Rosch, long time legal technology author and speaker, I highly recommend you pick one up. This book is perfect for the lawyer seeking to conduct research a dime and take advantage of all the information that the Internet has to offer. It provides a vast array of information and guidance for lawyers seeking to use the Internet to conduct investigative and legal research. For more information about this book, you can read my full review of here and can learn about what I consider to be a few of the book’s most useful tips in this blog post. Next, if you have a smart phone or a tablet computer, download the Fastcase app. This free app is available for iPhones, iPads and Android devices and allows you to conduct free legal research on the fly, even if you don’t have a Fastcase subscription. You can learn more about the app from an earlier post on this blog. Recently, Fastcase also announced its release of yet another free legal resource: Advance Sheets are now available in e-book format for free. So, now you no longer have to pay $850 for an annual subscription to Advance Sheets in paper format. Instead, you can now receive the same information in e-book format for free. For free access to vast amounts of federal and state case law, statutes and regulations, you need look no further than Cornell’s Legal Information Institute and Justia. Both sites provides access to a tremendous amount of legal information, including the most recent decisions, legal forms, and more. For example, the Cornell’s LII provides access to a fully searchable archive of federal court opinions, a topical index of state statutes by topic, and access to a comprehensive legal encyclopedia. Much of Justia’s case law and statutory offerings overlap with that of Cornell’s LII, so both are great resources for that type of information. In addition, Justia also offers an extensive legal blog directory, a directory of interesting and relevant legal podcasts, and a free daily newsletter which includes weekly practice area opinion summaries newsletters and opinion summaries for all US Federal Appellate Courts, all 50 US State Supreme Courts, and the United States Supreme Court. Speaking of the US Supreme Court, the SCOTUS blog is the go-to source for information about past and pending SCOTUS cases. It provides in depth analysis of Supreme Court cases and arguments, access to an assortment of Supreme Court Petitions, and statistics about the court, among other things. Another great online resource is the individual state court websites. Many provide free online access to their opinions. The National Center for State Courts provides a thorough list of state court websites and is a great place to begin your research. 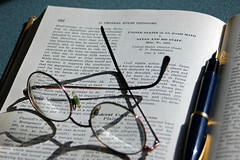 State bar associations can also be a good resource for online legal research. For example, the New York State Bar Association offers a fully searchable database of ethics opinions, which can also be accessed and searched via a free mobile app, available for iPhones, Android phones and Blackberry phones. Finally, Lawline, a long-time provider of reasonably priced online CLEs, now offers its online content for free. That means that you can now watch hundreds of hours of video CLEs on just about every conceivable topic, ranging from criminal law and bankruptcy law to corporate law, education law, and more. Keep in mind, however, that CLE credits aren’t available unless you pay a fee. So as you can see, the Internet has truly been the great leveler, making it easier than ever for lawyers to obtain free access to vast amounts of legal information. The sites and apps listed above are a great place to start your legal research. Are there any others that you use often that I’ve left out? Let me know in the comments!